Thursday started off with a couple of talks about the possibility of oceans on Mars. The first one, given by Gaetano DiAchille looked at possible locations of deltas all over Mars to try to figure out the water level of a past ocean. Deltas form when a river hits a standing body of water and drops its sediment, so they are a reliable marker of the water level. DiAchille found that “open deltas” – that is, deltas that do not end in a closed basin like a crater, all appear at the same elevation. This might mean that they all fed into a large northern ocean. A map of valley network density on Mars and the possible extent of a northern ocean. In the second talk, Wei Luo described his work mapping where all of the valley networks on Mars are and found that the northern limit of the networks fits with elevations that had previously been considered as possible ocean shorelines. The valley networks also matched with locations that atmospheric models predict would get the most precipitation. Neither of these studies is conclusive evidence for a northern ocean on Mars, but they are interesting and they suggest that the “ocean hypothesis” is becoming popular again after years of little interest. Later that day I saw a talk by Nick Warner describing the possible thermokarst lakes that he discovered in Ares Vallis on Mars. I wrote an article on Universe Today about this discovery when it was first announced a couple months ago. I ducked out of the Mars talks to go see a talk by my friend Debra Hurwitz about a lava channel in a crater in Elysium Planitia. The channel was formed when lava breached the rim of the crater, flowed down the inner wall and ponded in the bottom. She calculated that the lava probably flowed at about 17-35 meters per second and that 6,000 cubic meters per second flowed down the channel for about 15 days. 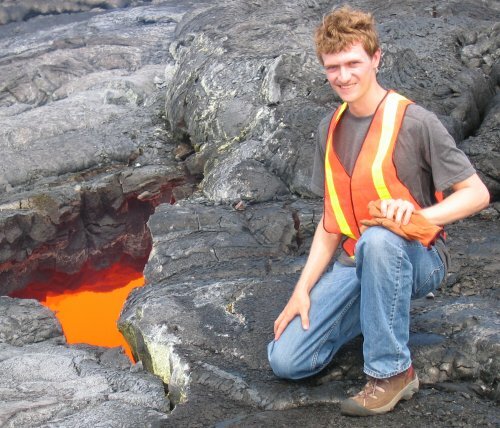 She also found that the channel could have been eroded mechanically without the need for the lava to actually melt the underlying rock very much. A sketch of the lava channel filling the crater in Elysium Planitia. After that, I headed over to the Titan session to hear a talk by Ralph Lorenz about waves on Titan lakes. Most of what we know about the surface of Titan, including the presence of liquid hydrocarbon lakes, is based on radar images from Cassini that measure roughness. The lakes show up as perfectly smooth (and therefore dark) surfaces, which is weird because radar images of lakes on earth usually have slight roughness due to waves. On Titan the gravity is lower, so you would expect bigger waves. It’s possible the lack of waves is due to the viscosity of the lakes, which might be increased by bigger “tar-like” molecules dissolved in the thinner ethane and methane, but it might also be due to a lack of wind. The Cassini mission will be watching as the seasons at Titan change to see if the wind changes and kicks up any waves. 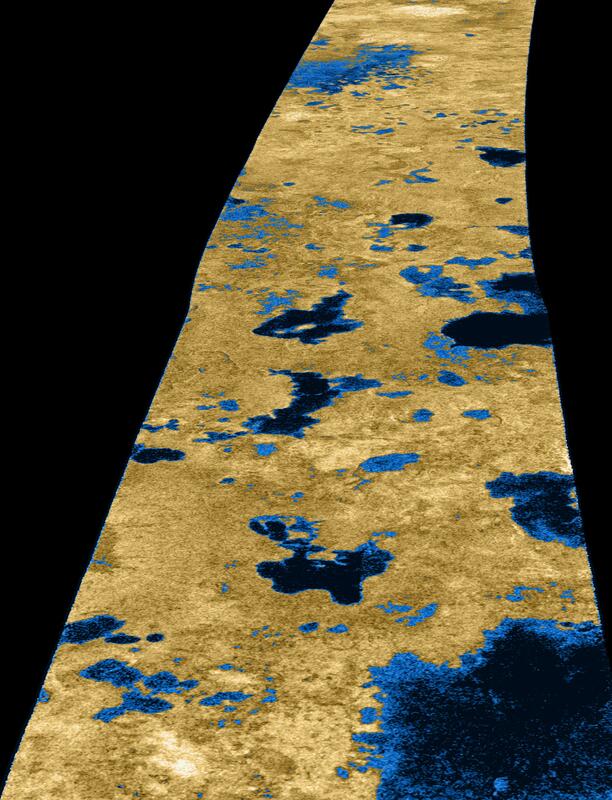 A (suggestively colored) radar map of lakes on Titan. I did a lot of session hopping on Thursday! The next stop was the astrobiology session. Oleg Abramov presented some results of his investigation of what intense impacts might have done to early life on the earth or Mars. He found that even during the Late Heavy Bombardment, the crust is not sterilized by the impacts, and in fact it might be more habitable for early life because impacts deliver organic molecules and cause widespread hydrothermal activity! The talks I was really interested in were two talks on the magnetite crystals discovered in the famous ALH84001 meteorite. I posted a while back about a new paper that claims these crystals are evidence of life on Mars, and these two talks were focused on the claim. The first talk, by Allan Treiman gave some good background on the debate over whether ALH84001 preserves evidence of life and then addressed some of the new claims about the magnetite crystals. He said that most of the attributes of biological magnetite crystals, such as their size, lack of flaws, and precise crystal structure were not observed in the ALH84001 crystals. The big question is why the crystals are so pure. Allan argued that you can get pure crystals just from the heating of iron carbonate, which is found in the meteorite. The following talk was by Kathy Thomas-Kleptra, whose paper Treiman was responding to. She showed that Treiman had probably made an error in calculating the breakdown temperature for iron carbonate. She also pointed out that the crystals are found in carbonates without much iron and that there is no graphite observed, but it is also a byproduct of heating the carbonates. I don’t know enough about petrology and geochemistry to know who is right here, and I was very disappointed that both Kathy and Allan used up all of their time talking, so there was no chance at all for questions! I wasn’t the only one. When the moderator said that there was not time for questions and that they had to get on with the next session, most of the room groaned and protested. But alas, the talks pressed onward. Biogenic magnetite crystals inside a bacterium one Earth. I zipped back over to the Titan talks in time to catch the end of one pointing to features that they claimed were “deltas” in one of the lakes. I was very skeptical of this because the quality of the radar images is so low. What they avtuall observe is a dark branching channel that ends at a peninsula in one of the lakes. That’s not evidence for a delta in my book. This talk made me realize how spoiled I am with HiRISE, CTX, MOC and other high-resolution data on Mars! Finally, I stopped by the asteroid session for two talks. The first was by Dan Scheeres and he talked about the role that tiny forces might play in holding asteroids together. He showed that Van Der Waals forces, normally ignored for all but the tiniest particles, actually might be important in holding particles together in asteroids. He made the analogy to powders like flour or cocoa powder on earth. These can clump together and when they are stressed the form fractures even though they are made of loos grains. The same thing might happen on a much bigger scale with the gravel and boulders in low-gravity asteroids! 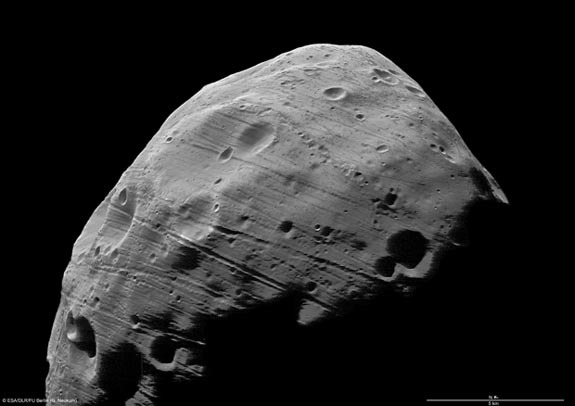 It's possible that the fractures in objects like Phobos are more like the cracks you see in flour than like cracks in a solid, fractured rock. The last talk I caught on Thursday was by my friend Seth Jacobson, who showed some simulations of asteroids that spin so fast they break apart. He showed that the ratio of sizes between the two bodies make a big difference in how the binary asteroid evolves. In some cases, the secondary asteroid even swings so close to the primary that it splats apart and forms a short-lived three-body system! Wednesday was full of particularly interesting stuff: in between the Venus and moon talks there was also the Sagan lecture and an afternoon session about astrobiology and its implications in society. The Sagan lecture was given by Tori Hoehler, a scientist at NASA Ames. He discussed the fundamental thermodynamics behind life, and showed that even if alien life relies on completely different molecules, there are basic requirements, such as the availability of free energy, that should be universal because they are rooted in the way the universe works. To paraphrase, he said: Life must evade the decay into equilibrium by reproducing extremely low probability results. There is a lot of thermodynamics behind this, but everyone has common sense experience with it. The world tends toward entropy unless energy is applied. Just take a look at the nearest college dorm room. The DNA molecule is an incredibly complicated "aperiodic crystal" that is highly unlikely to form spontaneously. 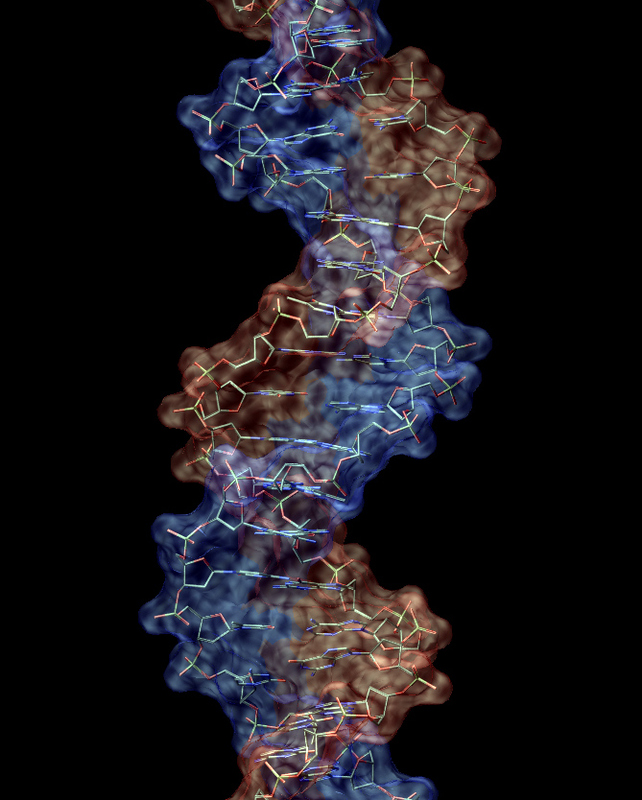 Energy is needed to make unlikely things like DNA assembly happen. Hoehler used real world examples showing that living systems, be they simple bacteria colonies or all the complex cells involved in a human being, tend to grow until they are using all of the free energy available. There is a certain minimum amount of energy required to add a new piece (such as a cell) to the system, so the system can’t grow unless that amount of energy is available. Tori concluded with a quote from Carl Woese: “Organisms are resilient patterns in a turbulent flow.” Hoehler argued that when thinking about biosignatures, we need to look at the fundamental requirements of any life. Regardless of its specific chemistry: energy use is the ultimate biosignature. Later in the afternoon on Wednesday there was a really thought-provoking section about the societal implications of astrobiology. One of the first talks that I saw in the session was by David Koch, discussing the Kepler telescope. Kepler is a mission designed to stare at a single large patch of the sky for years, monitoring the brightness of hundreds of thousands of stars. Why? Well, occasionally a star will have planets that orbit in just the right configuration so that they “transit” – pass between their star and Kepler’s detector – blocking out a tiny fraction of the star’s light. Kepler was specifically designed so that it will be able to detect even the tiny dip in starlight caused by an earth-sized planet passing in front of a sun-like star. Koch showed an example of Kepler data, as compared with ground-based data of a star with a known transiting giant planet. The ground-based data was very noisy because of the turbulent atmosphere, but the Kepler data was so good that it looked like a solid line rather than a series of data points. The Kepler data was good enough that you could see the change in brightness as the planet went through phases like the moon. Koch also showed a tantalizing signal from a binary system that may have a planet orbiting both stars, much like everyone’s favorite binary-orbiting plant, Tatooine. Sunset on a world orbiting binary stars. However, the planet detected by Kepler is likely a gas giant, not a rocky world like Tatooine. Image copyright Lucasfilm Ltd.
Next, Jacob Haqq-Misra, author of the new book “Planetary Messenger”, talked about how life and climate are intertwined. One example of this was the early climate, when the only life was methane-producing bateria. Methane is a powerful greenhouse gas, and so the global climate would warm rapidly with a world full of methane-making critters, but methane also undergoes chemical reactions when exposed to UV light and forms a thick haze. Just take a look at present-day Titan for proof of this! The haze would eventually get thick enough to cool the planet’s surface, balancing out the warming due to methane and preventing the planet from overheating. Of course, then along came oxygen-producing life, which destroyed the methane and organic haze and poisoned most ofther forms of life, relegating them to dark anaerobic places like the stomachs of cows. Haqq-Misra also pointed out that the modern climate is pretty unusual: we have ice caps. Models suggest that Earth typically is quite warm, with no ice caps even at the poles, or it enters a “snowball” phase, where everything freezes up and ice extends down to the equator. In either case, live persists, and it may be the action of life that nudges the Earth out of these extremes. Haqq-Misra’s bottom line was that life is extremely resilient and can have a powerful effect on climate. Modern-day climate change could have serious consequences for humans, but life in general will adapt in the long run. “We’re not saving the world, but ourselves,” he said. It’s not quite that simple, since many species other than humans are threatened by climate change, but his basic point still is valid. The Earth likely oscillates between a “snowball” and “hothouse” climate, with life-driven cycles, particularly the CO2 cycle, playing a major role. The last few talks in the session strayed from science into social science and philosophy. Linda Billings spoke about the relationship between astrobiology and culture. She pointed out that astrobiology has gained credibility from large agencies like the National Research Council, and has always been popular with the public, but that the public and scientific perception is somewhat different. The public tends to assume ET life is common and like us, while science focuses more on extremophiles and the origin of life. One thing that I wish she had addressed a bit more was whether the public perception of ET life is necessarily a bad thing. Yes, there are powerful misconceptions to work against, but the public’s interest in astrobiology makes it a perfect “entry point” into all sorts of science! The last few talks in the session considered the interplay between astrobiology and religion. Richard Randolph, presenting for Ted Peters who couldn’t make it, showed the results of a survey asking the question “Could the confirmation of another civilization in the universe cause a religious crisis?” The findings were not that surprising: Religious people did not think it would cause them to lose their faith, but were somewhat more likely to think that other people might lose faith. Non-religious people were almost all sure that such a discovery would cause religious people to have a crisis of faith. I would like to see the results of the survey if the word “crisis” was removed from the questions. I suspect more people would be willing to admit that discovering ET would make them think hard about their religion, but that they wouldn’t consider that a “crisis” of faith. Next, Connie Bertka talked about astrobiology and evolution. She said that we really can’t avoid discussing science versus religion because, to paraphrase, “nature and creation are no longer purely in the theological domain”. Thus, she said that astrobiologists should encourage dialog with religious people. I think it’s a fine line to walk. We don’t want to give people like creationists legitimacy by engaging them on equal ground, but we equally can’t just avoid the interface between religion and science. 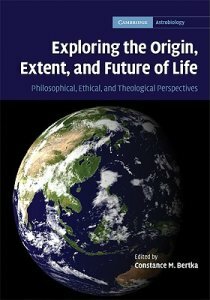 Finally, Richard Randolph discusses the Christian ethical implications of astrobiology. He asked two primary questions: What ethical obligations would Christians owe non-intelligent extraterrestrial life? and Is there a Christian obligation to spread life in the universe? Based on his reading of Genesis, Randolph extended the common interpretation of humans as “stewards” or “god’s authority on earth” to extraterrestrial life. I was disappointed that he so obviously avoided talking about the elephant in the room for this issue though. Sure, the bible gives us stewardship over extra-terrstrial microbes. He even said that predation, in moderation, is “acceptable” just as it is for life here on earth. That’s all well and good. But what happens when we find aliens who are as smart or smarter than us? Does the bible give us stewardship over them? Permission for “predation in moderation”? Why would a creator make mere humans stewards over equally intelligent or possibly much more advanced species? 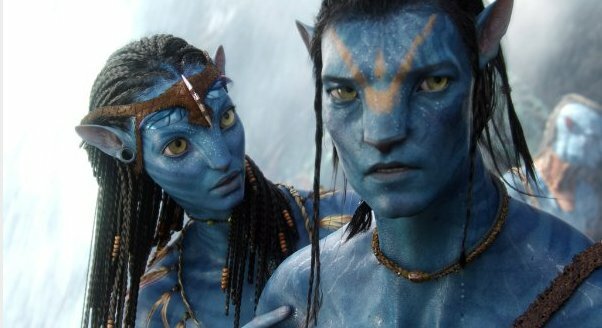 Ok, we are stewards over alien microbes, but what if we meet these guys? As for the obligation to extend life in the universe, Randolph said that, since the bible repeated describes creation of life as “good” then by extension, spreading that life elsewhere qould also be good. Thus he said that there was “qualified affirmation” of the assertion that we are obliged to extend life elsewhere. Again he dodged a big question: do we extend terrestrial life at the expense of possible more primitive extra-terrestrial life? (a.k.a. when is it morally justified to terraform Mars?) What if spreading terrestrial life is at the expense of more advanced ET life? It was refreshing to have these more philosophical talks after so much science. I may not have agreed with much of what Randolph said, but it definitely made me think, and it was a good reminder that science does not operate in a cultural vacuum. I got a bunch of questions about the BigPicture feature on the Cassini extended mission from an “enthusiastic” commenter, with whom I happen to be related (Hi mom! ), and I thought I would dedicate a post to answering them. 1. How does a Jovian equinox work? Start by reviewing how one on earth works. 2. #5 Photo What are we seeing here? Rhea in front of Titan in front of the Sun? Yeah, pretty much. Except that Titan is probably not exactly in front of the sun. I suspect the sun is off-screen, but the geometry is still essentially that Titan is between the sun and the spacecraft. Small particles like the ones in Titan’s hazy atmosphere tend to scatter light forward a lot more effectively than they scatter it back toward the light source, so that’s why Titan’s atmosphere looks so bright (plus the camera exposure, of course). 3. How many moons does this planet have, anyway? Saturn has 61 moons. But that’s sort of an artificial number, because where do you draw the line between a moon and a large ring particle? Anyway, you can read all about Saturn’s satellites on Wikipedia. 4. How long does it take for info from Casini to come to Earth? Is it just a matter of a few minutes? A week? Saturn’s orbit is 9.6 times as far from the sun as the earth, so that means that Saturn ranges from 8.6 to 10.6 astronomical units away from Earth (an astronomical unit is the distance from the earth to the sun). It takes light about 8 minutes to travel one AU. So, a radio signal from Cassini takes 1.2-1.5 hours to get back to earth. 5. What is a “shepard moon”? Why is Prometheus one? 6. What point of view makes and eclipse? See Photo #10 and explain this to us. Please help, I am lost in the darkness. The Big Picture, the Boston Globe’s photojournalism blog, does it again! 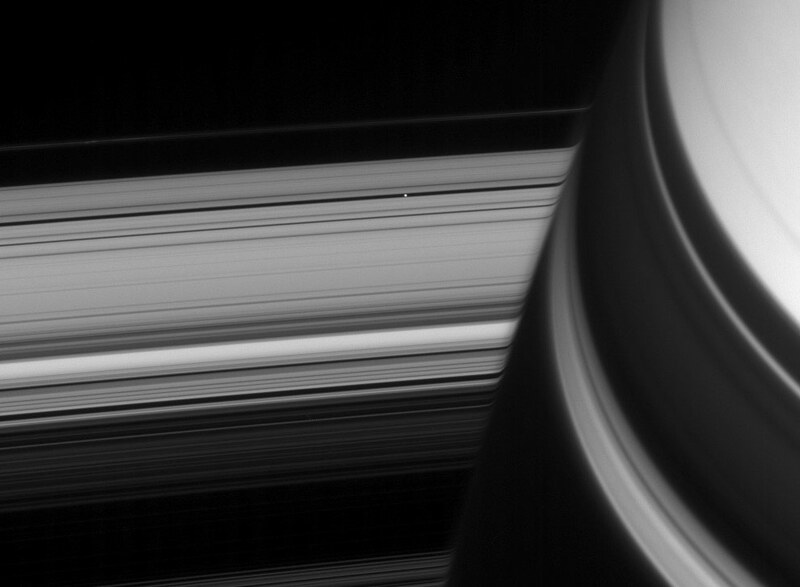 This week they have a spectacular set of images of Saturn and its sattellites from the Cassini extended mission. Well worth a look. I especially liked the images showing Saturn’s upper atmosphere acting like a lens, causing the rings to apparently bend as they approach the planet. Did you know that the Earth’s atmosphere does the same thing? Sunrise and sunset happen slightly earlier and slightly later than you would expect, because the Earth’s atmosphere bends the sun’s light slightly. So there you have it, your daily trivia. Now, follow the link and get your daily dose of spectacular space photos. I spent most of the morning in sessions on Titan, hearing the latest on everyone’s favorite methane shrouded moon. There were several talks looking at the first preliminary topography results and trying to draw some conclusions from them. According to Howard Zebker, Titan is more oblate than you would expect if it was just in its equilibrium shape, meaning its poles are lower in elevation than its equator. Oddly, the Xanadu region, which looks like mountains in radar, seems to be in a relatively low area. He also suggested that if Titan’s gravity field is more spherical than its actual surface, it could explain why there are more lakes near the poles, all other things being equal. The same thing happened with the lava lakes that form the dark patches on Earth’s moon. The side of the moon facing earth is lower in topography, so most of the maria formed on the near side. Randy Kirk gave an interesting presentation about Titan’s topography, with lots of very cool 3D flyovers of features. One of the big pieces of news was that Ganesa Macula, a feature that many people had speculated was a volcanic dome, is not a dome at all. Emily has a full post about this, so I’ll just direct you there. Jeff Moore gave a deliberately controversial talk in which he called Titan “Callisto with Weather”, implying that Titan may be much more frozen than people thought. He pointed out to everyone that the only landforms that have been identified unambiguously are ones that are “exogenic” meaning that they occur when something external happens to the surface: impact craters, fluvial erosion channels, and sand dunes. All of the features due to supposed internal processes, such as volcanoes and faults, are iffy. Jeff compared our state of knowledge of Titan right now to the state of knowledge about Mars after Mariner 6 and 7: a few snapshots of a small fraction of the planet which may or may not be capturing the full story. He pointed out that, based on the morphology of impacts and other features, Titan seems to have a very stiff lithosphere. He also took a look at lobate deposits that people have been calling potential cryovolcanic features and compared them to radar images of fluvial deposits on earth that looked almost identical. His point was that Titan may actually be a very cold and dead world in terms of volcanism and tectonics. Alex Hayes and Oded Aharonson gave a pair of interesting talks about the polar lakes on Titan. Alex presented his mapping of the lakes and showed that the large seas and nearby small lakes have the same “water level”, which may imply that they are connected through a “water table”. (I put these in quotes because it’s actually methane/ethane, not water) Oded presented a hypothesis for why the lakes are almost all in the northern hemisphere, suggesting that variations in Saturn’s orbit are to blame. Right now, southern summer is shorter and more intense, which dries methane and ethane away from the south to condense in the north. In 10,000 years, this pattern will reverse, and he predicts that the lakes will migrate to the south. He made the interesting point that all of the craters identified so far are near the equator, which would support resurfacing of the poles. One of the large methane/ethane seas near Titan's north pole. Speaking of the lakes, Mike Brown presented evidence that some of the transient clouds near the north pole may be due to a lake effect. As a Michigan native and current resident of New York, I am all too familiar with the lake effect: cold air blows over warmer bodies of liquid and picks up heat and humidity, which causes cloud formation and precipitation when the air hits land again. Sushil Atreya gave a presentation on the origin of Titan’s atmosphere. He showed that the nitrogen which makes up most of the atmosphere is probably not primordial, but likely formed when ammonia was split by sunlight into nitrogen and hydrogen. The methane in Titan’s atmosphere is also not primordial, and Atreya thinks that it can be explained by a process called “serpentinization” where volcanic minerals alter to form the mineral serpentine and give off methane in the process. Apparently titan has plenty of methane to support this process for many billions of years.